OAKLAND, Calif. -- Yankees manager Joe Girardi is still undecided whether or not to send Ivan Nova back to the bullpen once the rest of the starting rotation gets healthy. The way Nova has pitched as a starter, it's going to be a tough call either way. 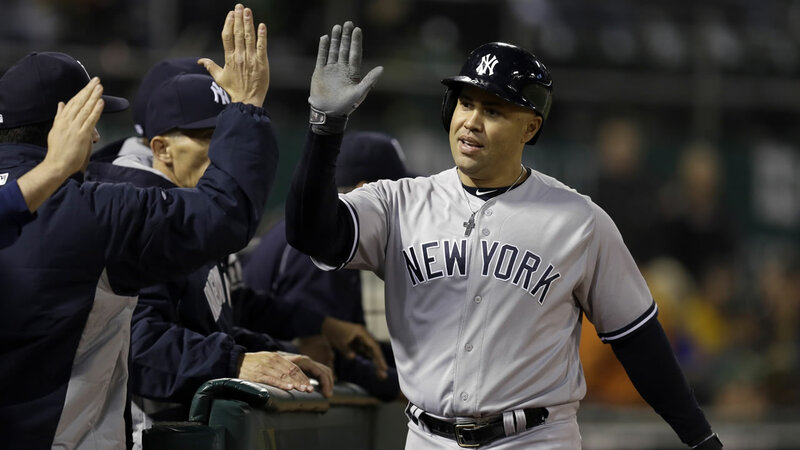 Nova pitched six innings for his second win since moving into the starting rotation, Carlos Beltran hit a two-run homer and the New York Yankees held on to beat the Oakland Athletics 4-1 on Thursday night. "It is very different than being in the bullpen," said Nova, who is unbeaten in three starts this season. "When you're starting, if you don't have it in the first inning you can have it in the second inning. This is my natural position and I feel good about it." Nova (3-1) allowed one run and four hits in his longest outing this season since replacing the injured CC Sabathia in the Yankees' rotation. The right-hander threw just 62 pitches, had three strikeouts and lowered his ERA to 1.65 in three starts. "He's pitching great," Girardi said. "We'll worry about that when the time comes but I really like what he's doing." Aaron Hicks added an RBI double while Brett Gardner had two hits and two walks to help the Yankees win the opener of the four-game series. Oakland swept New York when the teams played in the Bronx but got little going against Nova and three relievers. "That's the best we've seen (Nova) pitch," A's manager Bob Melvin said. "That was a true hard sinker, and the curve was just enough to keep us off balance. He had a really good sinker today." Josh Reddick homered for Oakland before leaving after fracturing the thumb on his left hand stealing second base in the seventh. Dellin Betances, Andrew Miller and Aroldis Chapman pitched the final three innings to complete the six-hitter for New York. Chapman worked the ninth for his fifth save. The Yankees missed multiple opportunities to break the game open but took a 2-1 lead on RBI doubles by Beltran in the third and Hicks in the sixth. Both runs came off Oakland starter Kendall Graveman (1-6). Beltran hit his ninth home run of the season and the 401st of his career in the ninth. Reddick homered off Nova in the fourth but the A's managed just three runners after that and hit into two double plays. Gravemen, who beat the Yankees on April 20 for his only win this season, suffered his fifth consecutive loss. The right-hander gave up eight hits in 5 2-3 innings with three walks and four strikeouts.